The Greenwich Village Society for Historic Preservation won its battle to designate Stonewall Inn as a New York City cultural landmark almost a year ago. 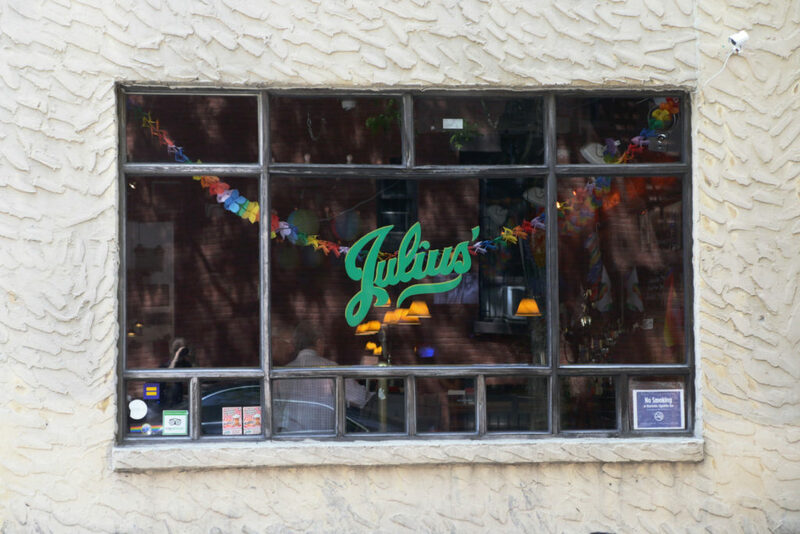 Now the society is moving on to the next round — a push to protect Julius’ bar for its key role in the gay rights movement. The process of designating a cultural landmark involves determining local support; satisfying the criteria for significance the Landmarks Preservation Commission has set; and arguing the case through letters and community pressure. “It’s dependent on whether it’s time to strike on something,” said Sarah Bean Apmann, director of research and preservation at the Greenwich Village Society for Historic Preservation. The Stonewall Inn – where a group of police officers raided the bar in 1969 and the community fought back – is widely considered the birthplace of the modern gay rights movement. It was designated as a National Historic Landmark in 2000. But activists sought city landmark status because while other communities protect state and national landmarks, New York City does not. Last June, on Pride Weekend, the city named it an individual landmark, and President Barack Obama is likely to designate the bar as the first National Monument to LGBT rights. Julius’ is New York’s oldest gay bar. The Pyramid Club is an historic LGBT club in East Village. 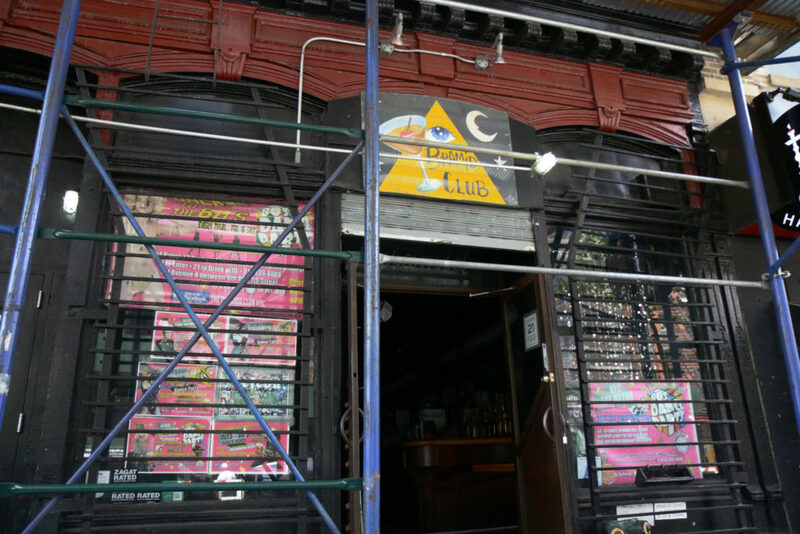 The Pyramid Club in the East Village, where drag aesthetic developed in the 1980s, is a similarly important place for LGBT history. The Landmarks panel denied a past attempt to designate the Pyramid club as “the first drag landmark.” But when the neighborhood that houses the club became a historic district, the history of LGBT artists and musicians was preserved. Apmann said the case for landmarking the club is not as pressing, given that designation. “You have to be political about these things. If you try to get too much you’re not going to get anything,” she said. So the group is focusing on the spot where they think they can succeed. “Julius’ seems like such a slam-dunk,” said Apmann.